We’d love your help. Let us know what’s wrong with this preview of Deception So Dark by Clara Kensie. With no more secrets keeping them apart, Tessa and Tristan embark upon a desperate search to find her missing brother and sister. But not even Tristan can keep Tessa safe from her new—and volatile—psionic power, or from the Nightmare Eyes that seem to watch her even when she’s awake. As the Nightmare Eyes grow stronger, hope of finding her siblings fades—until a new lead sends Tessa on a dangerous journey, one that a psychic has foretold ends in her death. And one that will force her to choose between Tristan and her siblings—and defeat an enemy she never knew she had in order to save them all. To ask other readers questions about Deception So Dark, please sign up. This book has a little bit of everything. It’s a dark romantic thriller, with plenty of mystery and suspense. The author did an amazing job writing this series. I would definitely recommend. I reviewed a copy of this book from the author. All thoughts and opinions are my own. Note: I received a free digital copy of this book thanks to YA Bound Book Tours in exchange for an honest review. This book, was even more mind-blowing than its predecessor, if that's even possible. Although there are a few things I liked better in the first book, this book took me on an unforgettable roller coaster and I really enjoyed it. The plot, the plot. It picks up from where the first one ended, and at the start, I will admit I wasn't convinced that this book would be able to impress m Note: I received a free digital copy of this book thanks to YA Bound Book Tours in exchange for an honest review. The plot, the plot. It picks up from where the first one ended, and at the start, I will admit I wasn't convinced that this book would be able to impress me. But I shouldn't have doubted it, because this book instead brought a organized mashup of plot twists, interesting ideas and cliffhangers. I say organized mashup because while it was all sorts of things mixed together, it was done in a calculated and organized manner, which means the plot twists and cliffhangers weren't all over the place or anything, just like the first book. Everything was done, I felt, to a certain purpose, and it was really well delivered. In the first book I really got attached to the characters, and reading this book was great because I didn't have to go through the trouble of getting to know them and worrying about whether I like them or not. Tessa, our heroine, made a lot more mistakes in this book than in Deception So Deadly (which seems to be a common theme in YA books, I think) but luckily I still managed to really like her. I suppose it was because I understood her needs and why she did what she did, and a part of me approved of her decision, and admired her for it, no matter how risky and unintelligent it was. No character is perfect, right? As far as flaws go, Tessa's weren't bad, and didn't get in the way of my enjoyment of her character. As for where Tristan is concerned, I still really liked him! I loved seeing how much he truly, sincerely loved Tessa, it was beautiful. What bothered me about him was mostly because he was a bit too obsessed with keeping Tessa safe, and had a bruised ego when he couldn't. I guess I admire his love for Tessa, but it got on my nerves a bit afterwards. However, in essence, I wasn't truly upset with him, especially after all he does for Tessa. All in all, the characters were fantastic. The writing style didn't change much as far as I could see from the first book, luckily, since it was gripping, engaging and easy to read! I really enjoyed the writing style, it made my reading experience better than it already was by being simple, but gripping and interesting from the very first page. I absolutely adored the first book in this series, so I was excited to read this second installment. This book focused on Tessa trying to get her brother and sister back and dealing with the guilt and pain of what her parents had done. I really loved the aspect of the book that focused on Tessa’s guilt, since I thought it was very understandable and relatable. Unfortunately, I was frustrated with Tessa for a good portion of this book because of her stubbornness when it came to her brother and sister and her tendency to jump blindly into danger. It didn’t make sense to me that she wouldn’t heed the psychic warnings of the people around her—it’s not like she didn’t know that their powers were real. She kept purposely shoving herself and others into dangerous situations, and I felt a little bit like Tristan did (though we were supposed to feel like he was being smothering and overprotective, I sort of sided with him most of the time!). I don’t know, I guess I just wanted her to temper her impulsiveness with a little common sense. The ending of this book was definitely exciting, though, and had a bit of a twist that made it really interesting. I enjoyed the book overall, even though I had some misgivings. In the end, I gave it 3.5/5 stars. So I highly recommend this series. It's like a romance but with mystery and suspense so I don't know what to exactly consider it. Full review to come! As soon as I finished Deception So Deadly, I immediately started reading Deception So Dark. I have to say, this book was even better than the first. I don't know how to summarize this book without giving away any spoilers, so I figured I'd just share my thoughts on it instead! Tristan and Tessa were even more adorable in this bo So I highly recommend this series. It's like a romance but with mystery and suspense so I don't know what to exactly consider it. Full review to come! Tristan and Tessa were even more adorable in this book. I love how much they care for each other and how Tristan is always there if Tessa needs him. He's even there when she doesn't want him there, just in case. This book provided so much insight into the past of Tessa's family, and I loved that so much. It literally made me gasp so much because I couldn't believe a lot of what I was reading just like Tessa couldn't believe much of it either, but after some deep thought, it all made so much sense. I felt horrible for Tessa throughout a lot of this book because everything she was being told was completely world-shattering, but thankfully she had Tristan through it all. Her parents were both stuck in the Underground, but she was allowed to go and live with the Connelly's, which must've been extremely weird for her considering who Tristan's father was. The Connelly's were so sweet to Tessa and were extremely understanding, which I found to be very refreshing. I honestly don't know what to consider this series. I mean, sure, it was romance, but it was also a suspenseful thriller! So I guess that makes it a romantic thriller that will keep you on the edge of your seat? No matter what it is, I'm telling you that this is a new favorite of mine and it's definitely worth checking out. This book had a lot of the same elements as the first one. The action sequences where polished and entertaining, the romance was endearing, and the science fiction was easy to understand and very interesting. The majority of the story focused on Tessa dealing with everything that was revealed at the end of the first book. She has forgiven Tristan for lying to hear, and learned to accept the fact that Tristan’s dad is not the monster her parents lead her to believe he was. And she is learning to deal with her powerful psionic abilities. But that is nothing compared to coming to terms with the fact that her parents are murderers and her brother and sister are missing. Tessa was a little different in this book. Her search for her siblings consumed her, and there wasn’t much that she wasn’t willing to do in order to be reunited with them. She was very stubborn and refused to listen to the warnings of both Tristan and his mother even though they were psychic. Yes, Tristan needed to learn that he couldn’t protect her from everything, but she needed to learn how to listen to someone else’s opinion besides her own. When she wasn’t searching for her brother and sister, she was consumed with the guilt she felt for all the things her parents had done. It didn’t help that almost everyone she came in contact with, besides Tristan and his family, hated her and blamed her for her parents crimes. Her parents had hurt so many people in Tristan’s hometown, and she was a constant reminder to them of all they had lost. But no one hated her as much as she hated herself. Despite Tessa’s stubborn streak and self hatred, I still sympathized with her. She had been through just as much as the people who hated her. Her parents were not dead, but they may as well have been because they would never be a part of her life again. The shame she felt over what her parents did was torturing her, and She did not deserve to be hated because of what someone else did. The intense drama made this book difficult to read at times but there was enough action and plenty of cute scenes with Tristan and his family to balance the heavy subject matter. In fact, thanks to Tristan, Tessa got the family that she truly deserved. She grew so much in just two books. I enjoyed this almost as much as the first book, and I was very happy with the way things ended. I had a huge smile on my face after reading the final page, but I also hope the author finds a reason to revisit these characters in the future. I would love to get to know both Tessa and Tristan’s siblings better. I was excited to dive back into Tessa's world, especially now that her life has become a bit more settled, after all of the earth shattering revelations Tessa learned at the end of Deception So Deadly. However, her brother and sister are still out there and on the run and Tessa will not stop searching for them until they are found. I admired Tessa's determination in this one to find her siblings. She is the only one who can convince them to stop running and she knows this. Some of her actions ar I was excited to dive back into Tessa's world, especially now that her life has become a bit more settled, after all of the earth shattering revelations Tessa learned at the end of Deception So Deadly. However, her brother and sister are still out there and on the run and Tessa will not stop searching for them until they are found. I admired Tessa's determination in this one to find her siblings. She is the only one who can convince them to stop running and she knows this. Some of her actions are a bit on the reckless side, but I get her desperation. For the most part, Tristan is there with her every step of the way and I was grateful that she had someone completely on her side. However, Tristan could be a bit suffocating in this one with his hero complex. I didn't quite enjoy the romance in this one as much, because a lot of it is Tristan trying to keep Tessa safe. The reality is, he can't be with her every single second of the day and he can't beat himself up over not being there for her. He finally realizes that it isn't his life's mission to keep Tessa safe; that he has to let her make her decisions and let her stand on her own two feet. I never once doubted their love for one another though, and that was a high point for me. There were some obstacles thrown in their way that could've turned badly pretty quickly, but thankfully we get to see them endure these together and as a couple. I liked that a lot. My heart once again ached for Tessa because she is not having the easiest time in the town of Lilybrook. Because of who she is and what her family has done, she has a hard time adjusting at school and I hated that for her. There are also people in power that are supposed to be about justice and equal treatment of all those with these psychic gifts. However, prejudice and history keep them from doing their job and things become very tense in the search for Tessa's siblings. This was a bit slower paced than the previous one, but I was still engaged nonetheless. I was anxious for Tessa to find her siblings, as well as find out what these 'nightmare eyes' were about that keep following Tessa. 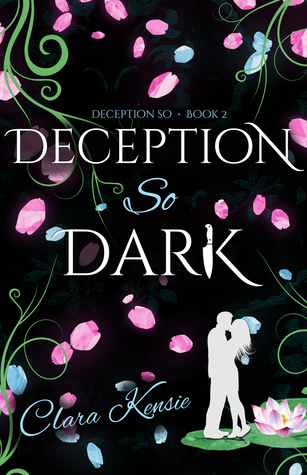 Overall, Deception So Dark was a great conclusion to Tessa and Tristan's story. I really hope Kensie explores some of the other characters in more detail in the future though! Having loved much of the first book in this series, Deception So Deadly, I was eager to read this book and obtained a complimentary ARC copy for review consideration (which didn't affect my judgment at all!). However, I found it disappointing overall. Without giving too much away, the main problem was Tessa herself. She'd been likeable and sweet for much of the first book, but in this book she often made decisions or mistakes which led to danger and yet didn't seem to learn from them to be wiser Having loved much of the first book in this series, Deception So Deadly, I was eager to read this book and obtained a complimentary ARC copy for review consideration (which didn't affect my judgment at all!). However, I found it disappointing overall. Without giving too much away, the main problem was Tessa herself. She'd been likeable and sweet for much of the first book, but in this book she often made decisions or mistakes which led to danger and yet didn't seem to learn from them to be wiser and more careful. It was hard to believe how patient and forgiving Tristan was with her in light of that! She seemed overly self-focused and not considering enough how her rash actions might impact on others. The amazing chemistry of the first book was lacking much of the time, there were much fewer "swoony" moments, and there was much less "light" and hope in general until the end. Book 2 picks up right where Book 1 ends with Tessa now staying with Tristan and his family. Jillian and Logan are on the run, believing Tessa and their parents are dead. Only Tessa knows the awful truth about their family. With Tristan's help, Tessa searches for Jillian and Logan, only to be met with one setback after another. The author throws in a lot of twists, introduces some fascinating new characters, and takes the level of adventure up another notch. Romance takes a backseat to the adv Book 2 picks up right where Book 1 ends with Tessa now staying with Tristan and his family. Jillian and Logan are on the run, believing Tessa and their parents are dead. Only Tessa knows the awful truth about their family. With Tristan's help, Tessa searches for Jillian and Logan, only to be met with one setback after another. The author throws in a lot of twists, introduces some fascinating new characters, and takes the level of adventure up another notch. Romance takes a backseat to the adventure and danger this time around. Now that Tristan and Tessa know each other's secrets, they're together. They have some ups and downs, but the story is about finding Jillian and Logan more than about whether Tessa and Tristan will end up together. The plot is interesting and anything but predictable, and aside from a few pacing issues, moves pretty well. Tessa has a lot on her plate and I think she deals with it the way I expect a teenage girl to. She's only known life on the run and settling down doesn't come naturally to her, even though its what she's craved her whole life. She struggles to come to terms with her parents' crimes, and the constant taunting by the families of their victims isn't helping. I got a better sense of Tristan this time around and he's a good guy, although at times he's almost too good to be true. The world of psionic powers is further explored, particularly when it comes to Tessa's gifts and, again, the author weaves it into the story seamlessly. I didn't think the fluidity was quite as strong as with the first one, but Clara Kensie is a master at creating tension and throwing in twists that in hind view, were perfectly foreshadowed. There's a lot more symbolism in this story and I love the author's use of it. I enjoyed the ending. I thought it wrapped up well but leaves the door open for maybe a spin-off from another character's point of view. 1. Tessa's loyalty to her brother and sister knows no bounds and it's one of her strongest character traits. 2. Aaron. The sweet nerd of a boy with a computer-like brain who helps Tessa is someone I'd like to see more of. 3. Surprising plot twists. There were more than a few and they were all deliciously unanticipated. 4. Tristan. I wasn't sure about him after reading Book 1. And although there were times he seemed too good to be true, his love for Tessa was never in doubt and he'd clearly do anything for her. 5. Dennis and Deirdre. They love Tessa as their own and they provide the paternal stability that Tessa needs. Deception So Dark is a solid follow-up to the first book with lots of action and suspense. 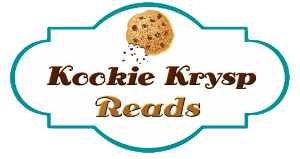 Just when I thought Deception So Deadly was filled with suspense and action, Clara Kensie created an even more suspense and thrill in Deception So Dark! I was absolutely blown away at her ability to intensify the suspense in this second half of the series; and the mystery that kept me holding my breath kept me riveted. With it's fast-paced suspense and mystery, the story revealed the growth and progress of these characters, especially Tessa and Tristan. Although Tessa has moved forward with her life, after learning the truth and the betrayal from her parents; she is still haunted by it. Told in Tessa's point of view, readers will get a glimpse of Tessa's thoughts and emotions. She is not just tortured by those around her; she is also tortured by her own feelings and thoughts. The suspense and the plot twist is not the only element that progressed and evolved, Tessa and Tristan's romance and relationship also developed...as well as endured some hardships. And, let me say, that twist....oh my goodness, that twist...that was a jaw-dropping moment! Whoa! I know I suspected, but...dayum...wow! I was definitely blown away with that revelation! Well done Clara Kensie...well played! Loved it! I received a copy of this book from YA Bound Book Tours in exchange for a fair and honest review. I didn’t think that the author could up the suspense and thriller part of this story, but she sure did. Tessa is on her own, with the help of Tristan of course but he can’t always be there, to find her siblings. She is the only one that can keep them from running. This story grips you from the beginning until the last page. There are ups, downs, twists, and turns that will keep you on the edge of your seat. Tessa tries to have a normal life but can’t seem to get past the fact that her brother and sister are missing and that was always in the forefront of her mind, making “life” hard to function. This book answered some questions I had at the end of book one and summed everything up nicely. There weren’t any questions or plot holes that were left open or unanswered by the time I read the last page. This author does a great job providing incredible detail and description on every page you read. This not only makes it easier to visualize the scene but also makes the story flow so much easier and smoothly. The science fiction part of it was written so well that it, at times, didn’t seem like fiction, and felt like it could be something that happened in the real world. A job well done to the author! I was curious where the story would go on from the first novel, and I was not let down at all! So good! I love how Tessa came into her own in this book. Winner of the 2015 RITA Award for Best First Book! Clara Kensie grew up near Chicago, reading every book she could find and using her diary to write stories about a girl with psychic powers who solved mysteries. She purposely did not hide her diary, hoping someone would read it and assume she was writing about herself. S Winner of the 2015 RITA Award for Best First Book! Today Clara is an award-winning author of dark fiction for young adults. Her debut, the super-romantic psychic thriller DECEPTION SO series, was named an RT Book Review Editors Pick for Best Books of 2014, and Deception So Book One: DECEPTION SO DEADLY, is the winner of the prestigious 2015 RITA© Award for Best First Book. The first two books in the DECEPTION SO series, originally released as a six-part serial titled Run to You, are now compiled into full-length novels, DECEPTION SO DEADLY and DECEPTION SO DARK (Snowy Wings Publishing). The series will continue with the never-before-published DECEPTION SO DANGEROUS. The DECEPTION SO series is available for order in paperback everywhere books are sold, and the ebooks are available exclusively for Kindle (free on Kindle Unlimited). Look for a special DECEPTION SO short story in the MAGIC AT MIDNIGHT anthology! Clara’s critically-acclaimed novel AFTERMATH (Simon and Schuster), a dark, ripped-from-the-headlines drama about hope, healing, and triumph over tragedy in the tradition of Room and The Lovely Bones, is on Goodreads’ list of Most Popular Books Published in November 2016, and Young Adult Books Central declared it a Top Ten Book of 2016.